I Chronicles 16:4-6 - And he (David) appointed certain of the Levites to minister before the ark of the Lord, and to record, and to thank and praise the Lord: Asaph the chief, and next to him Zechariah, Jeiel, and Shemiramoth, and Jehiel, and Mattithiah and Eliab, and Benaiah, and Obededom: and Jeiel with psalteries and with harps; but Asaph made a sound with cymbals; Benaiah also and Jahaziel the priests with trumpets continually before the ark of the covenant of God. I Chronicles 16:37-42 - So he left there before the ark of the covenant of the Lord Asaph and his brethren, to minister before the ark continually, as every day's work required: and Obededom with their brethren, threescore and eight; Obededom also the son of Jeduthun and Hosah to be porters: And Zadok the priest, and his brethren the priests, before the tabernacle of the Lord in the high place that was at Gibeon. To offer burnt offerings continually morning and evening, and to do according to all that is written in the law of the Lord, which He commanded Israel; and with them Heman and Jeduthun, and the rest that were chosen, who were expressed by name, to give thanks to the Lord, because His mercy endureth forever; And with them Heman and Jeduthun with trumpets and cymbals for those that should make a sound, and with musical instruments of God and the sons of Zeduthun were porters. Musicians in the orchestra (mainly played instrumentals). Jeiel with psalteries and harps. Heman with trumpets and cymbals. Jeduthun with trumpets and cymbals. Heman and Jeduthun also accompanied songs with musical instruments. Other musical instruments listed in the Word. Timbrel, Gen. 31:27; Ex. 15:20. Complete orchestra, II Sam. 6:5. Musical instruments were inspired, given, by God for man to worship God with them - no instrument is excluded in worship - all can be used to worship God with - and He desires their use in His worship. Musicians need to use their talent to praise, worship, and give thanks to God - style is not important - it is the grace (the divine influence on the heart and its influence in the life) using the talent that is important - what God receives man is not to reject. Asaph the chief (the worship leader). Zechariah, Jeiel, Shemiramoth, Jehiel, Mattithiah, Eliah, Benaiah, and Obededom. With Obededom - sixty-eight choir members. 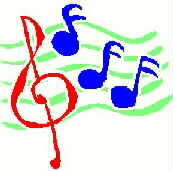 The choir consisted of seventy-six singers plus Asaph the choir master. David appointed the choir master, the choir, and the orchestra; plus he wrote psalms for them to minister to God with. The choir performed psalms, hymns, and spiritual songs. High choir - tends to be large. Mass choir - black gospel. Small choir - chorus groups. It is not the style of music, song, it is that the vocal talent is worshiping God - like musicians, vocalist must be motivated by the grace in their heart and raise their voice to God in praise, worship, and thanksgiving. Psalm 100:1,2 - Make a joyful noise unto the Lord, all ye lands. Serve the Lord with gladness: come before His presence with singing. Psalm 47:1 - O clap your hands, all ye people; shout unto God with the voice of triumph.